What’s hot in natural and organic food? 77,000 people came together to answer that very question in Anaheim, California earlier this month. 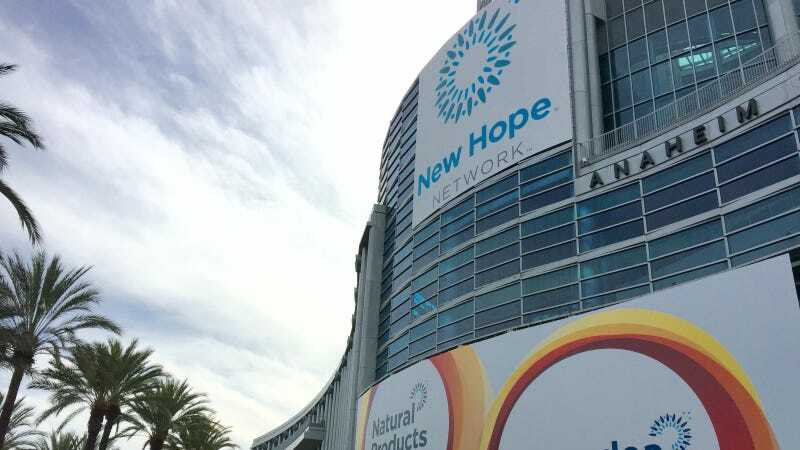 Natural Products Expo West is the largest natural and organic trade show in the world—and this year's 36th annual event featured 3,000 exhibitors in categories ranging from food to health and beauty, supplements to pet products, packaging to home and textiles. It’s an opportunity for companies—natural pioneers, startups, and big businesses alike—to showcase new products and the latest innovations. Transparency: consumers want to know about sourcing, ingredients, and processing with additional information and labeling. Convenience: snacks for a life on-the-go or easy, small meals. Ancient foods: a resurgence of unprocessed or minimally processed grains, nutritious superfoods, and fermented ingredients. Sustainability: an emphasis on food waste and plant-based foods that are popular for their efficiency and low impact. Values: consumers demand more and are seeking out mission- or purpose-driven companies. Aged Vegan Cheese: Using traditional cheese making methods, Kite Hill has found a way to grow a rind on this rich and creamy almond milk-based soft ripened round. Chocolate Hazelnut Spread: It’s like Nutella—only better. Nutiva achieves that perfect taste and silkiness with organic ingredients and without hydrogenated oils or refined sugars. Vegan Enchiladas: Frozen foods need not be loaded with fillers, pesticides, preservatives, or GE ingredients, as Amy’s Kitchen proves with its new vegan, gluten free black bean-cheeze-veggie enchiladas. Sea Salt Caramels: The ooey gooey texture and super sweet flavor of caramels has been recreated in Cocomels, only using coconut milk instead of dairy. Green Lemonade: Green juice is a staple healthy beverage, and cayenne pepper has powerful cleansing properties, so Daily Greens decided to combine the two into one delightful bottle. Energy Drink: Three fruits (açai berries, acerola cherries, and passionfruit) meet three energizers (green tea, yerba maté, and guaraná) in this revival of Sambazon’s Jungle Love. Heirloom Quinoa: The super grain is not new to the market, but AlterEco has upped the ante with new compostable packaging made from renewable, plant-based materials. Snickerdoodle Cashew Milk Ice Cream: Smooth cinnamon vegan ice cream with chunks of decadent gluten-free cookie dough is the latest and greatest from So Delicious.